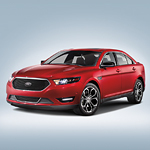 When you want a full-sized sedan that will turn heads as you drive around Humboldt, consider the 2019 Ford Taurus. This vehicle looks amazing bumper to bumper and will ensure that you love the car that you drive. In the front, the HID headlamps will fully illuminate the road ahead of you. With a feature that will turn them on whenever it gets dark or you turn on your windshield wipers, you can have the peace of mind that you can see and will be seen. 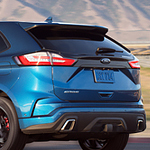 If you want an SUV with exceptional performance capabilities, you should check out the Ford Edge ST. This trim is the first SUV that was designed by the Ford Performance Team. Here at Gene Langley Ford Inc, we like to keep our Humboldt consumers informed about our models, so we invite you to read about what the Edge ST has to offer. Getting a good used car can often be difficult because you really don’t know what you’re getting, and they usually one come with a 30- or 60-day warranty. None of those concerns matter when you buy a used vehicle through the Ford Certified Pre-Owned Program. If this sounds too good to be true, it’s no. Come to Gene Langley Ford Inc and get all the information you need on this unique program. You have made the decision that you are going to go out and purchase a pickup truck. You are not sure yet which truck is going to work out the best for you. 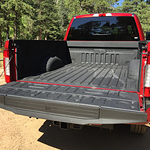 Do not overlook a durable option like the popular Super Duty from Ford. This heavy-duty truck was designed with care and made to hold up well. 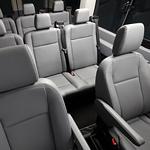 Minivans are great, but what do you do when you need to seat more than eight? Whether you're a little league coach or a community organizer, there are plenty of reasons you might need to drive more than seven people around Humboldt. 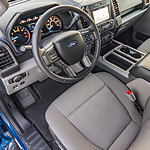 If SUVs and Minivans just don't cut it for you and your crew, consider upgrading to a Ford Transit Passenger Wagon. Here at Gene Langley Ford Inc, we are excited to have the Ford Escape be a part of our lineup of popular crossovers. The Escape comes equipped with numerous technology features that help to improve the driving experience for everyone, making it an excellent choice for anybody in the market for a new vehicle. The Ford EcoSport is a popular compact SUV for many great reasons. Its available smart driving features make driving easier than ever, and they also enhance safety and fuel efficiency while driving on Humboldt roads. An available hill start assist feature helps drivers shift from braking to stepping on the gas without causing the car to fall backward first. This feature senses when you are on a slope and will activate automatically to help prevent the car from dropping back before accelerating. For years, the Ford F-150 pickup has been a favorite for work and for play. The truck is not overly cumbersome. Yet, has the ability to perform when needed. The latest models are available for a test drive in our Humboldt showroom. It takes a lot of patience and discernment to look for a vehicle. People have to make sure that they are making the smart choice and choosing a vehicle that is not only going to be reliable but is also going to be beneficial in many different areas. 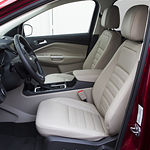 We at Gene Langley Ford Inc believe that the Ford C-Max is a smart choice in this respect because it has a lot of smart features. 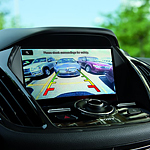 Ford Focus Technology Features Make Driving Even Easier! 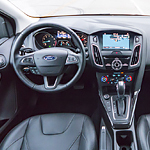 The Ford Focus has all of us talking about its great technology features at Gene Langley Ford Inc. The Focus is a well-rounded compact car that delivers smart technology. If you love to stay safe and zip around Humboldt on time, this car can help you stay on schedule! Features like the rearview camera and intelligent access are a great start to any busy day.